How does a fashion boutique in the heart of Inglewood shine a spotlight on prostate cancer, early detection, and men’s health? Simple. 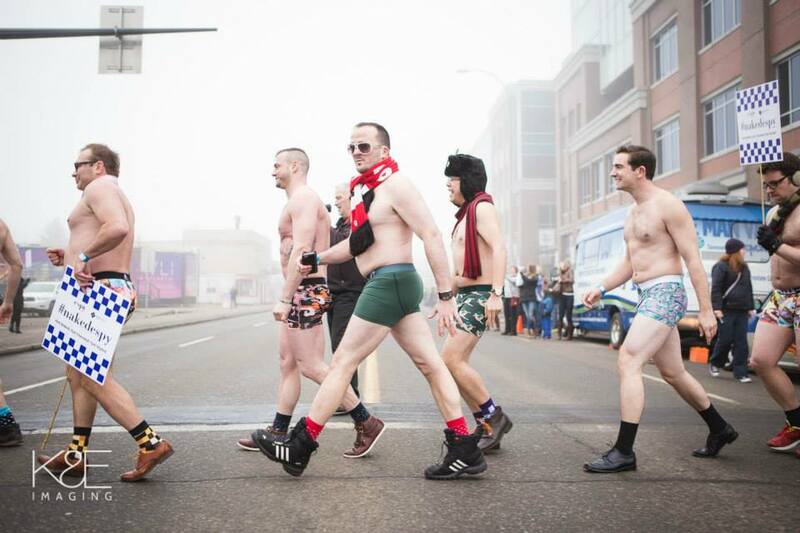 100 guys strip down to their underwear to not only raise awareness but money for the Calgary Prostate Cancer Centre. Attend the #nakedespyevent for even MORE fun with the guys not to mention a chance to be the next reigning Mr. Nakedespy or win a variety of prizes from our sponsors! The inaugural #nakedespy took place in 2010 when Megan’s dad was diagnosed with Prostate Cancer. Wondering what espy could do to raise awareness for those affected in the community, #nakedespy was born. A fun event where 100 guys would raise not only money but awareness about men’s health. In turn, they would receive over $1000 of clothes as a gift from espy for their fundraising efforts and get to attend an all-day men’s event. By the second year, men were begging to take part. A quick breakdown of the grand finale event. After 5 weeks of hard work fundraising, the final event takes place. AKA the part that everyone has been looking forward to. This years event takes place on March 30th from 3:30 PM to 9:00 PM.